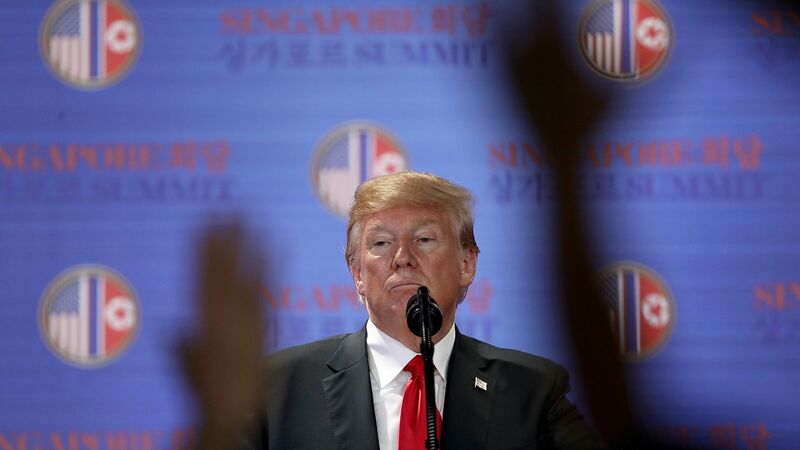 President Donald Trump has expressed private frustrations over the lack of immediate progress in nuclear talks with North Korea, the WashPost reports. The details: The North Koreans, trained in "the art of delay and obfuscation," have made life difficult for U.S. officials by repeatedly canceling meetings and failing to maintain communications, as intelligence reports suggest Pyongyang may be be working to hide key details of its nuclear program. Trump, meanwhile, has fumed privately to aides while publicly touting the success of his meeting with Kim Jong Un.